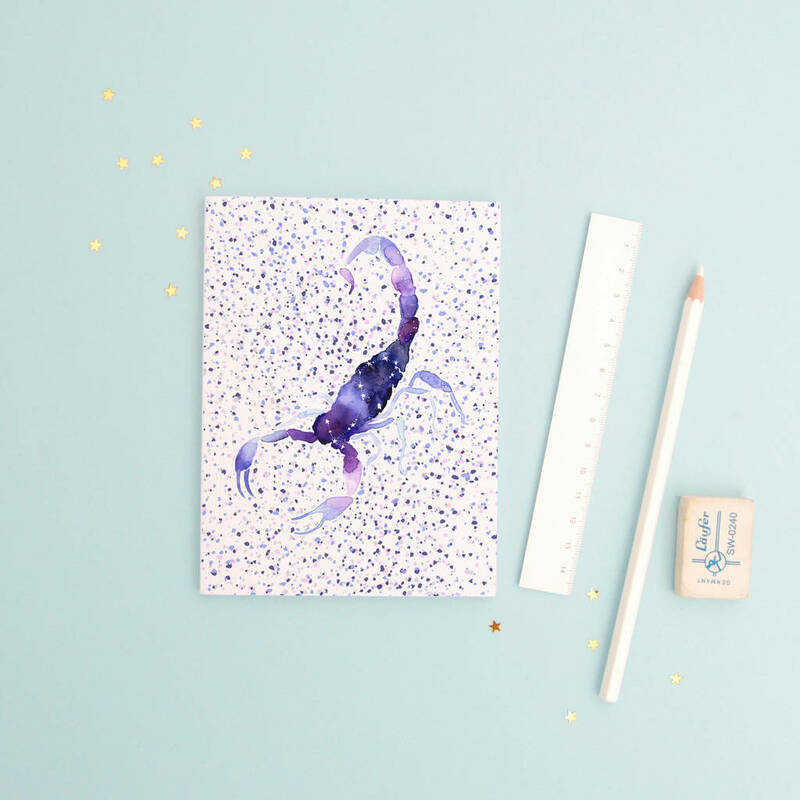 Cute small notebook; perfect little gift for her. 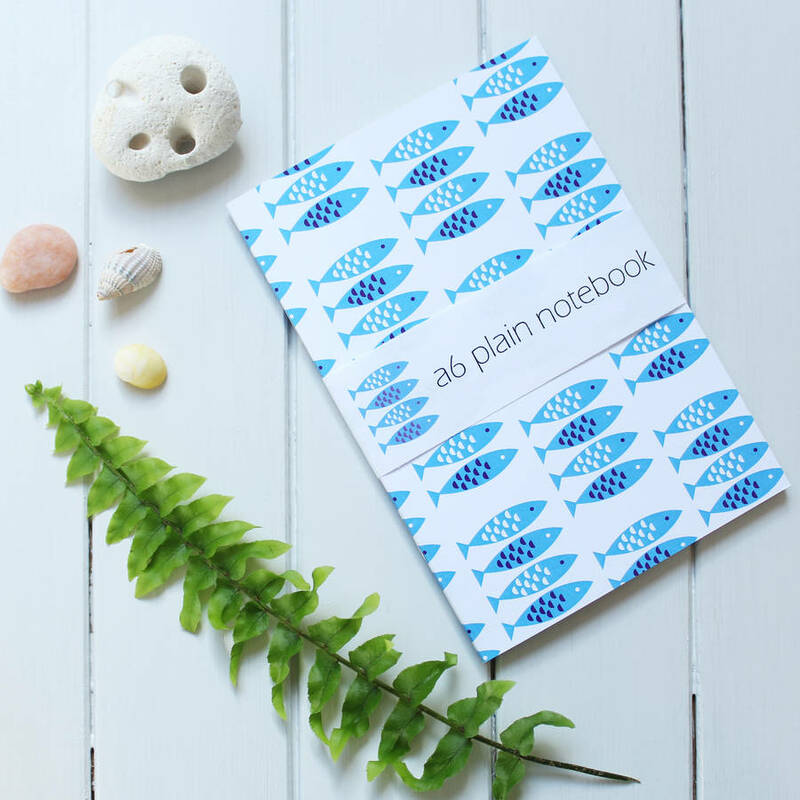 An unlined fish notebook (A6 sized); fits easily into handbag, school bag, or pocket. 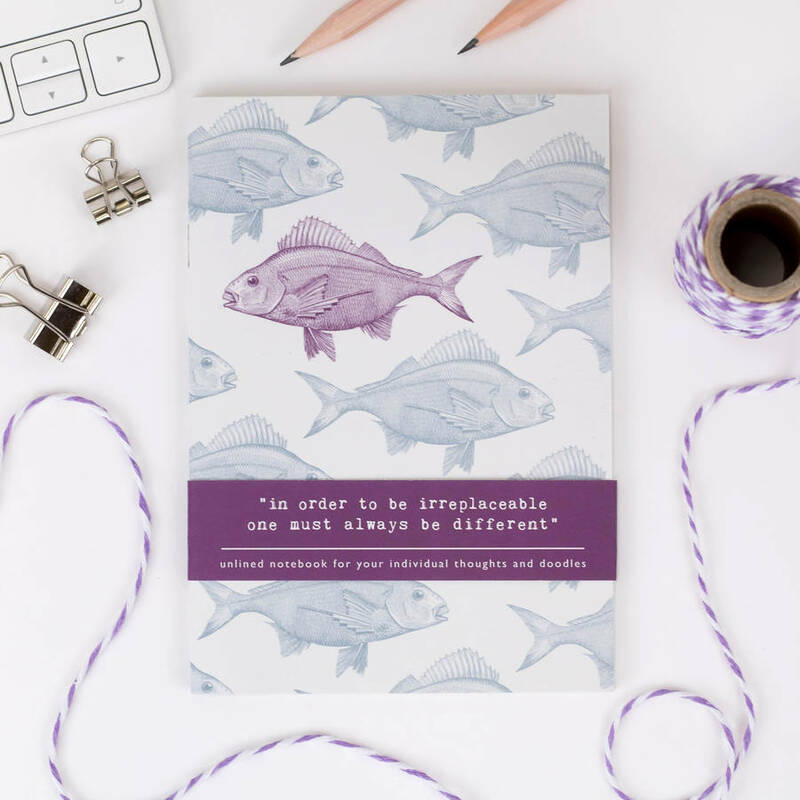 This eco-friendly unlined notebook features a repeating vintage fish design in soft purples and blues. The notebook is beautifully packaged and has a removable outer paper wrap that says (all in lowercase). "in order to be irreplaceable one must always be different" Posted in a rigid envelope. 32 unline pages of white, 300gsm, 100% recycled paper.